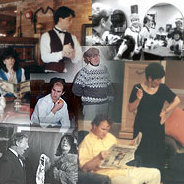 We have performed plays in Wythall and Redditch to critical acclaim for 60 years! 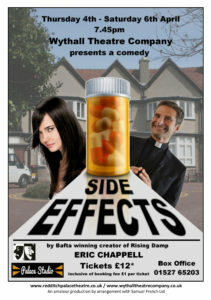 We perform in theatres, studios and pub theatres, performing all sorts of plays from comedy to thrillers. We are always keen to gain new members. Everybody is welcome, no matter what your experience or lack of it. If you are keen and interested to perform, direct or work backstage and want to join a friendly society then please do not hesitate to get in touch with us on the contact page. All enquiries will receive more information about what we get up to and an invitation to come along to a current rehearsal or meeting. For a more details about the company please see the About Us section.